Police are appealing for witnesses to two crimes. Between 10am and 1pm on Monday, October 2, there was an attempted burglary and between 1pm and 2pm on Thursday, October 5 a burglary took place. Surrey Police believe they were carried out by the same man. 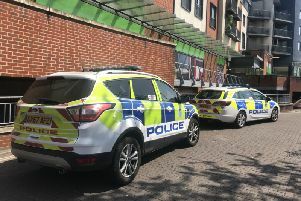 “We would like to hear from anyone who saw a white moped in the area of Copthorne Road between the hours of 10am and 2pm on Thursday, October 5,” a spokesman said. Inspector Dan Gutierrez said: “I would encourage home owners who have had unsolicited visitors knocking on doors offering services to contact your local policing team. Any visits may of course be genuine. “We sometimes notice there can be a link between this and a burglary occurring in an area. If you saw anything suspicious then call us on 101 quoting 45170108655.